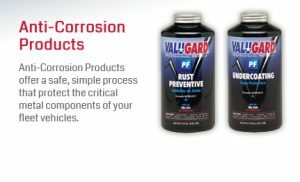 At Xtreme we use Valugard products to protect your vehicle from the elements. We offer a 3 year warranty or our platinum lifetime warranty protection product. Valugard rust proofing is applied using a specialized SATA gun and several different wand attachments. Special attention is paid to pinch welds and high risk areas. All body panels received an application including hood and trunk as well as inside the frame rails. Magnesium Chloride is a threat to motor vehicle bodies and frames. Corrosion is a bigger problem than ever before because of changes in the way DOT’s now de-ice the roads and highways. Over the past 15 years, it is estimated that the costs associated with corrosion caused by anti-icing chemical have increased more than tenfold.